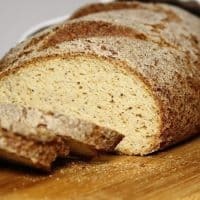 The best Keto Bread in the whole world, which not only looks real but also tastes and smells like a real loaf of bread. The Number 1 Keto Bread has been born. You bake it once and will never ever change for something else. 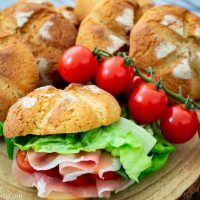 Is Keto Bread Gluten Free? Is Keto Breah Healthy and good for you? Yes. 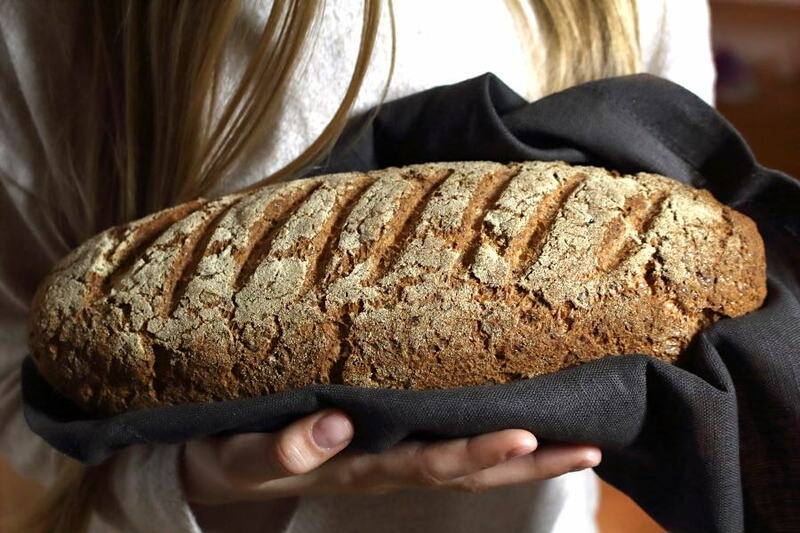 It contains lots of Fiber, which is great for our digestion and if you do compare it to the bread made out of normal flour, there is really no comparison. Just bear in mind, everything has got calories, so in case you are on a Keto because of the weight issues, you do have to limit the amount. 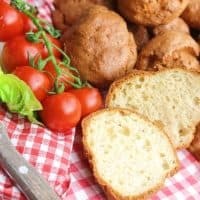 Can Keto Bread be Frozen? Yes and that’s what I do all the time. Normally I bake 3-4 loaves in one go. 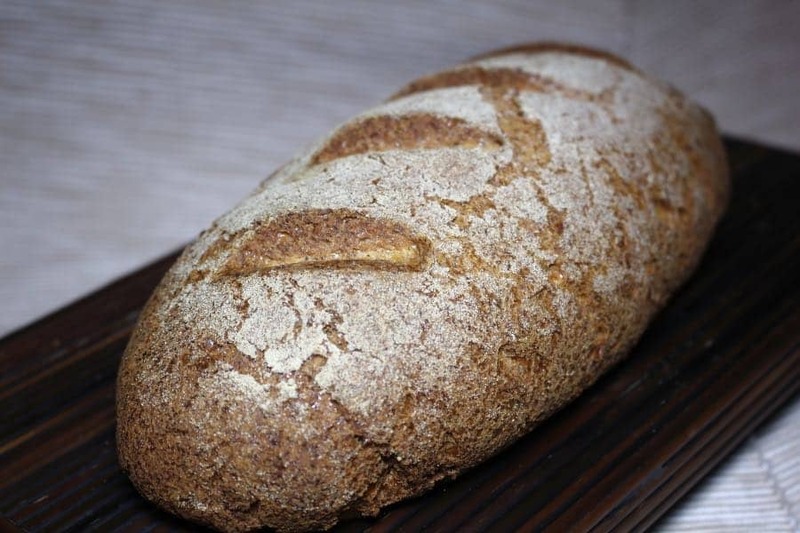 Let them cool, cut each loaf into 4 pieces and place them into the Freezer. In that way, I am done with baking for a while and there is always bread at home. All you have to do is to take it out the night before. What do you need this bread to go with? As I was a kid, we used to always have bread with our Bone Broth, or this time our Keto Egg Drop Soup. Why? I have no idea, but my dad and lots of friends are still needing bread to go with whatever soup. Or if you need a special spread, Tuna Mix is just a perfect addition. Do not want to believe me? Read the story and see for yourself. Do you remember the recipe Low Carb Granola? Well when I made that recipe, everything else we made for Breakfast was from that moment banned by our daughter. The only thing she would ever want and ask was Granola. I have also mentioned, that I doubt, finding anything else, which will replace this. And not even a few weeks, and we have found it. And I really thought my Low Carb Yogurt Buns are the most liked one so far. For a change, I would suggest to try them as well, since they are really fluffy. And the white texture gives you the real white buns feeling. Now all the buns in the freezer are left and taking space because I am fitting this bread in there as well. But to admit, this is not my recipe. I wish I could have come up with this great Idea, but I did not. We have seen this one day, when we were scrolling on Pinterest, just looking at some low carb inspirations. Then we saw an image of the bread looking like it does not belongs there. And I was really sure it was a normal loaf with real flour and it just got into our feed by accident. So we looked and it actually was the low carb. Sophie asked me to try and bake it because it really looked like WOW. For the whole week, I have tried to research, who was the founder of this recipe because I wanted to give her an acknowledgment and the further I got was Daggi from Germany, who is a very popular low Carb Blogger and has a great FB Page Daggis Low Carb Küche. Would suggest for you to have a look at her page since her recipes are excellent. And there are millions of them. And they are all low carb. 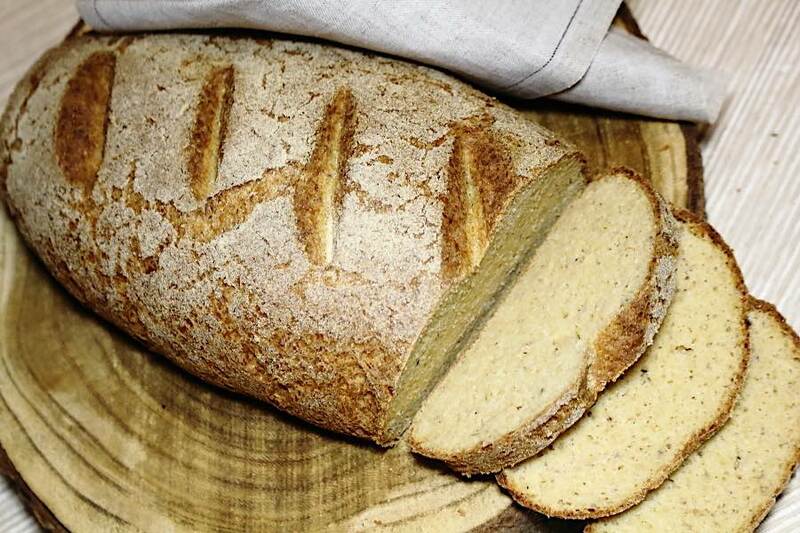 But because the page and all the recipes are in German, I have decided to make this post and share it with the rest of the world, because this is really N 1 Bread of the whole universe. The only problem was one ingredient. But this made all the difference. It is a Fiber from potatoes. I have read about it a few years ago, but just because it always said potatoes, I somehow was reluctant to try it. I did not believe, that it had no or very little carbs. It is pretty popular ingredients in a low carb world in Sweeden as well as Germany. Just for your info, it has only 8g of carbs in 100 grams (which is equivalent to the almond meal) and it contains 65g of Fiber. 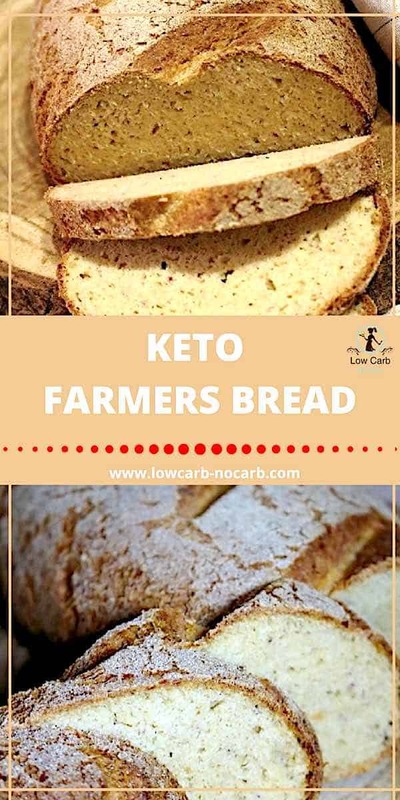 We have also used this Fiber in our Keto Fiber Bread Rolls Recipe as well as Keto Fiber noodles Recipe. And since my daughter is also T1 diabetic, we had the pleasure to see what happens to the blood sugar after she consumed it. I can tell you a STRAIGHT LINE. This is really magical. 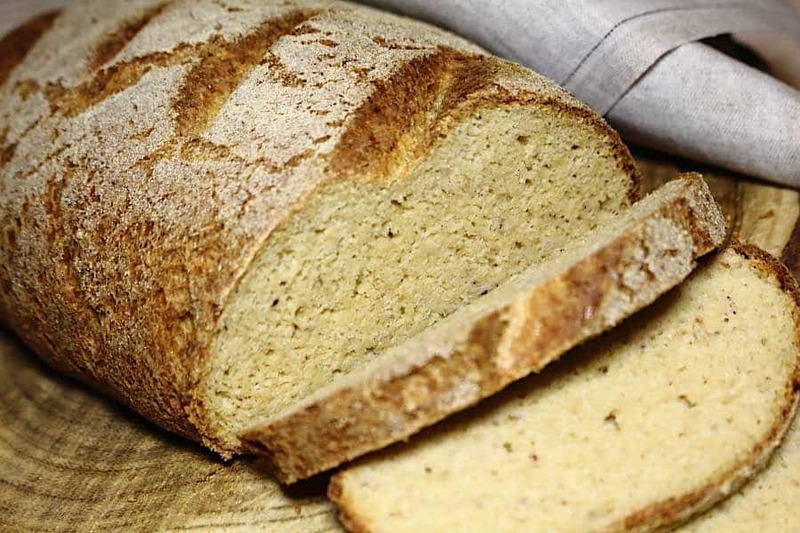 Bread, which tastes like real bread and does not raise the blood sugar. Have also done research for all the American followers, but unfortunately could not find it anywhere on the American shopping sites. So just in case, you do find it, please do let me know and I will update this post. I have although found a few discussions, where people in the US were substituting this with an Oat Fiber. Personally, I have not tried it, but it could as well work. So after we saw the bread, we saved the recipe and I ordered 1small box of Fiber to try. After we made this and we checked the sugar, next thing was to go onto Amazon and order 5 more packets, just in case we run out of it. I really, really suggest you give this Fiber a try and order at least one box. Do you see how excited I am? I can write a whole book about this bread. And that’s me or us, who are already more than 5 years on low carb. Is there an alternative to the Potato Fiber? Could we add Yeast into the recipe? 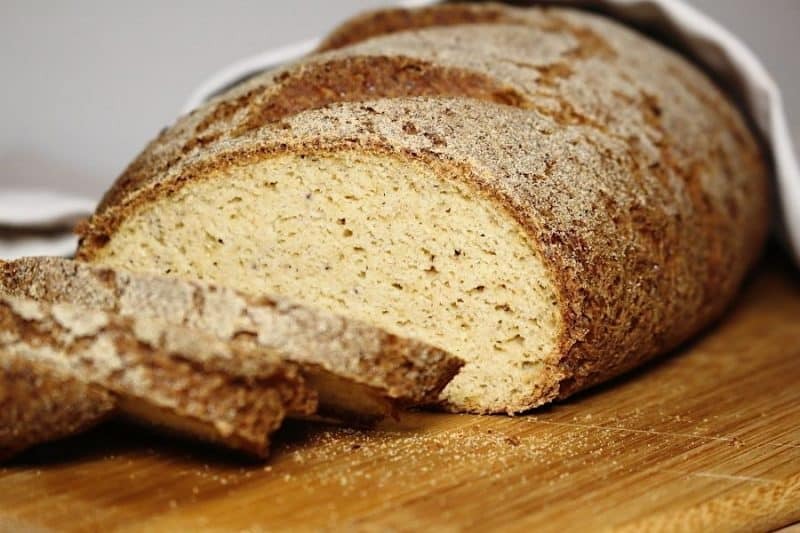 Have decided to add a comment from one of our dear follower Sherry, for all of us to be able to check all the spot on points, as well as try this Recipe with the addition to the Yeast. I do hope it will be beneficial to some of you. I proofed 2 tsp. yeast with 2 tsp. Inulin in 100 ml of warm water (mine was 112°F) for about 5 minutes until it was very foamy. I added the yeast mix and vinegar at the very end of mixing, then covered it for 20 minutes. I must confess that I forgot to add the queso and cream cheese before I added the dry ingredients, and I may continue to change that order because it may help me to control the moisture added by the cheese. I know how I want the mixture to look and feel before adding the yeast and vinegar. The taste was very good and a bit milder than the original, but while it was baking the aroma was heavenly! The psyllium flavor was not as pronounced, and the texture was very close to regular bread. and was very easily sliced into 20 portions. The eggs and salt were mixed at high speed with a whisk attachment for 10 minutes – really fluffy! Used 100g oat fiber since potato fiber isn’t available here. I used 275g queso fresco and 100g cream cheese instead of quark, since I can’t get plain quark here. I think farmer’s cheese in a slightly reduced amount would also work. It’s wetter than the queso, but I’m going to try that next time and use about 325-350g of farmer’s cheese. Psyllium and baking powder were the same amounts (30g and 16g). I also added 2 Tbsp xylitol just to sweeten it up a bit. 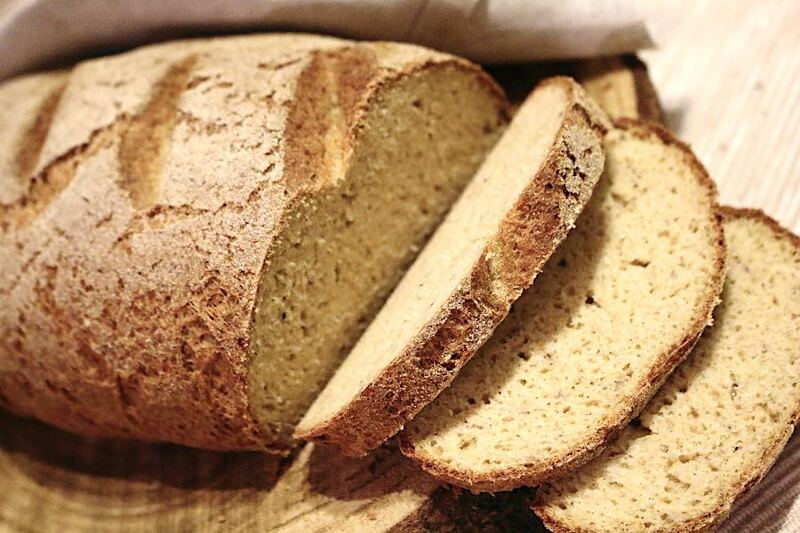 The bread with Yeast addition is much lighter and airier, with lots of small holes throughout. When lightly pressed in the center of a slice, it mostly rebounds instead of staying dented. It still has a nice crust, which browned during baking. I used 300°F since my my oven only indexes 5°F per adjustment, so I baked for 100 minutes. The calorie count will go up due to the queso and cream cheese but carbs should be about the same as if using quark. I am more concerned with carbs than calories anyway. 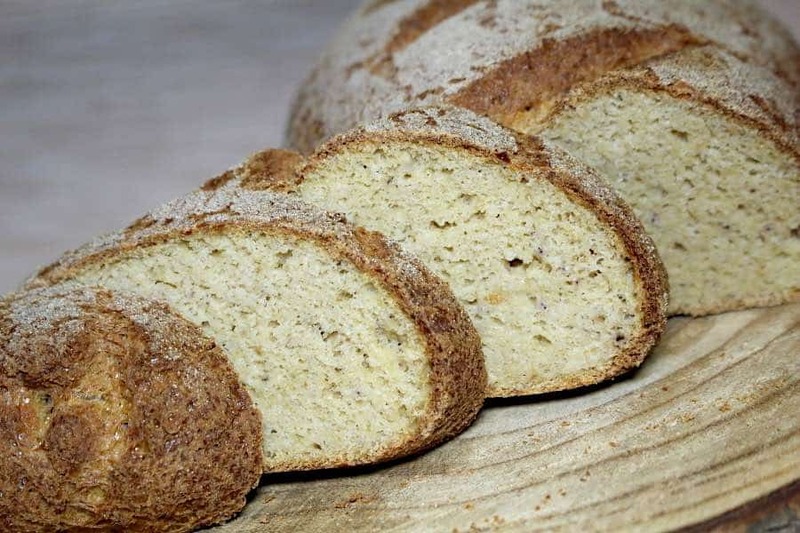 But let us go to the recipe of this soon to be famous Keto farmers Bread, so you do not complain I do write too much. Do let me know in the comments below how it is. And if you have some great ideas, how to make this into something else, Sophie would be ecstatic as well. 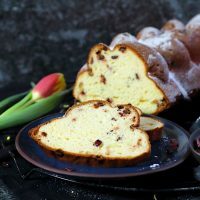 And do not forget to sign in to our Newsletter, so you do not miss any of our new recipes or ideas.